Home › 5. 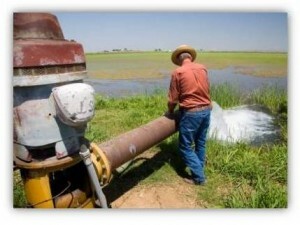 M2M/IoT Trends › Water Monitoring: Will New California Regs Stop the Disappearing Act? Water Monitoring: Will New California Regs Stop the Disappearing Act? New legislation was passed last month that may just change the way that Californians treat their water. Designed to manage the state’s rapidly disappearing aquifers, the new regulations give local agencies the power to restrict groundwater pumping, shut down wells, and impose fines and penalties. They also direct state agencies to oversee groundwater sustainability plans developed by local agencies, and authorize them to step in if local actions aren’t sufficient. While some herald this change as a step in the right direction, others say that this legislation is too little too late. The new laws give local agencies up to seven years to develop their groundwater plans, and until 2040 to implement them. With historically low levels since the 1960s, it is easy to see why critics are skeptical about the impact of these laws on the health of aquifers. It is hard to believe that California allowed landowners to drill water wells as often and as deeply as they could afford, without permissions or remote water monitoring/metering. In order to enforce effective water use there has to be a way to monitor consumption. This thread of “water monitoring for conservation” reminded me of a conversation that I had with an employee at Thames Water last year. His concern was that many London households were against smart metering because they were worried about costs and that Thames Water may use the meters to turn off the water for non-payment. From the utilities’ perspective, they wanted the tools to detect leaks as well as make people accountable for the water that they consumed. The reality is that London and other parts of the world are facing rising risks of drought that they must address. For the UK, it means conservation campaigns and retrofitting households with water meters. For California, it may be a wait-and-see game to see how local and state agencies are going to implement their sustainability plans.